WatchExclusive is a synonym for superb quality products and services concerning watches and watch accessories. 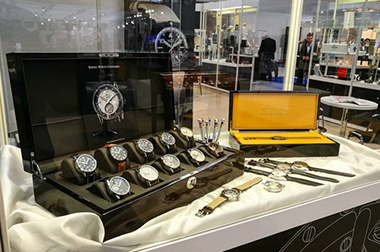 Thanks to our personal relationship with watch manufacturers and official distributors, we are able to offer our customers only high-grade original timepieces at affordable prices. We pride ourselves on strong customer relationship in terms of pre-sale and post-sale services. 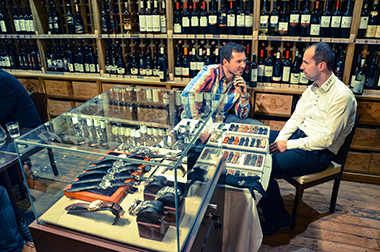 Our dedicated staff is ready to answer your questions and help you choose the best watch for you. We guarantee response within 24 hours from your initial inquiry. We love what we do. Providing high quality products and services concerning watches and accessories is our passion and long term goal. With you since 2007. WatchExclusive operates directly with watch manufacturers and authorized dealers, selling only brand new, legitimate, original and high quality products. Each purchased product is delivered to our customer in an original package, including fully stamped and dated manufacturer’s warranty, as well as all other documents. Trust and confidence are essential. WatchExclusive is constantly reviewed to ensure complete data security and customer protection. Watchexclusive is secured by Let's Encrypt SSL certificate providing highest level of security using 256-bit encryption.